Holmes Art Cellar - Grand Opening! 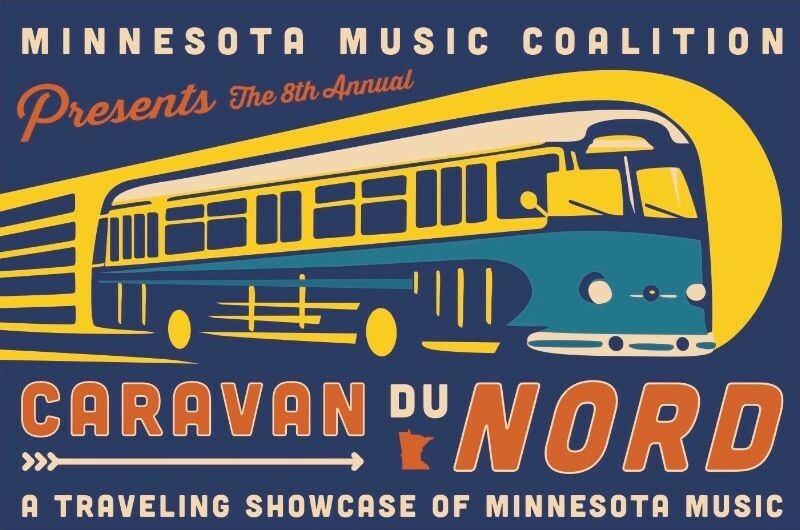 Sponsored by The Current, the Caravan du Nord is a traveling showcase of Minnesota music that presents 18 bands and solo artists to six theater venues in Greater Minnesota for all-ages performances, workshops and community engagement. The 8th Annual Caravan du Nord continues next Friday, March 8 in Detroit Lakes, MN. This event will feature a special all-ages theatrical performance by innovative band The Twilight Hours, featuring Twin Cities rock/pop music luminaries Matt Wilson and John Munson. Opening up the show will be rising indie/folk star Humbird. The concert will be preceded by a free social hour from 4-7 pm, taking place at the new Holmes Art Cellar in the same building as the Holmes Theatre. Serving as the visual art center's grand opening, the event will include appetizers, art displays, cash bar and live music by local artist Rhoda Habedank. It will also give people a chance to meet artists, music industry professionals and local arts supporters. Hope to see you Detroit Lakes area folks there for this unique evening of music, art and community!